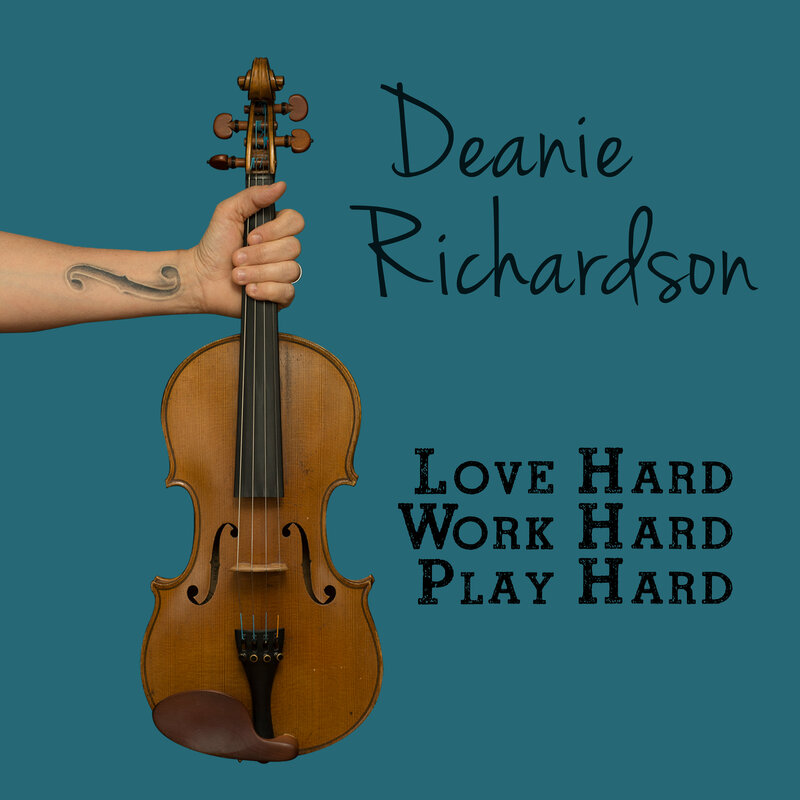 Nashville, Tenn. – The wait is over, as critically-acclaimed fiddle extraordinaire Deanie Richardson releases her brand new album Love Hard, Work Hard, Play Hard. The project includes 12 new recordings, all centered around the world-class musician’s distinctive style. The star-studded collection features collaborations with Patty Loveless, Dale Ann Bradley, Ronnie Bowman, and more. Fans can purchase and stream Love Hard, Work Hard, Play Hard here. Deanie is kicking her promotional efforts into high gear, recently premiering the song “Jack of Diamonds” featuring Patty Loveless on The Boot. “The tune features potently powerful vocals from ’90s country icon Patty Loveless,” says The Boot, while adding “Richardson provides the vintage-sounding fiddle on ‘Jack of Diamonds,’ inspired by the playing on blues legend Blind Lemon Jefferson’s version of the folksy, traditional tune.” The track was arranged by Loveless’ husband Emory Gordy Jr. The dynamic pair met when Richardson joined the Country legend on tour, playing fiddle. Along the way, the world-class instrumentalist has also toured with countless acts like Vince Gill and Bob Segar, while also performing regularly on the legendary Grand Ole Opry. As 2019 rolls on, it’s already been a career-defining year for Richardson, who is currently nominated for a Grammy at the upcoming awards in February with the band Sister Sadie. The all-star female group is nominated in the category for “Best Bluegrass Album” for their latest album Sister Sadie II, which has garnered rave reviews on countless publications like NPR, Rolling Stone, Parade and more. As part of the lead up to the iconic awards, Richardson will appear on “Today in Nashville” on Wednesday, February 6.